Kuwait – 2 August 2018: Abdulmohsen Abdulaziz Al Babtain Company (AABC), the sole authorized dealer of Nissan vehicles in the State of Kuwait, announced the opening of Al Rai showroom, which is open on Fridays from 4 pm to 8 pm. Nissan Al Babtain aims to extend working hours to satisfy all customers and serve them over the weekends to provide the best services and offers through the whole week. 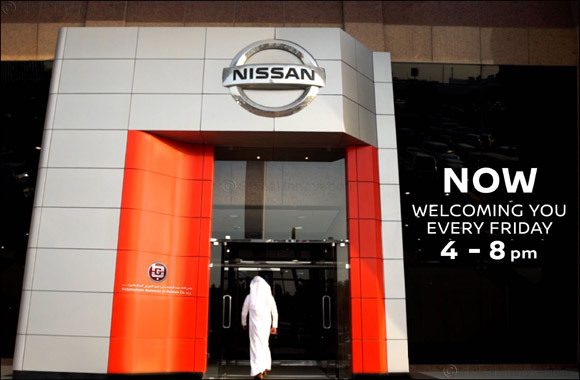 Nissan Al Babtain invites customers to visit its showrooms located in Al Rai to benefit from the exclusiveoffers on Nissan vehicles and discover the latest models of family cars, sports and modern sedans.